The famous prisoner, called "The man in the iron mask", was the elder brother of Louis XIV, that is to say, the true king of France. The mask, in fact, was not made of iron, as it is shown in the movies, but it was made of black velvet. When The Bastille was in control of the revolutionaries in 1789, a skeleton was found chained in one of its dungeons. Some historians speculated that he could be the famous prisoner held by order of Louis XIV. However, According to our Spiritual Guides, the true king of France lived the last years of his life in freedom. Interlocutor: Now I would like to talk about this mysterious character of the history of France. I am referring to the prisoner whose identity was never disclosed and who was known as "The man in the iron mask", although apparently this mask was made of velvet. The imprisonment of this man seemed to be something as a "secret of State", he was very guarded and treated with respect in spite of his condition of prisoner, but the truth is that his identity was never known and the intrigue remains until today; although many things have been speculated and many movies have even made on the subject, and his story nobody knows for sure. 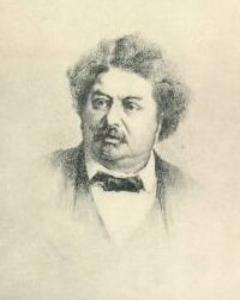 One of the most famous French novelists, Alexander Dumas, wrote a book titled "The three musketeers" where he treated the matter, deepening it in "The Viscomt of Bragelonne." Kether (The Ancient of days): I don’t know very much about the case, but I can contact myself with other entities that know about it. I see that the writer you mention, Alexander Dumas, has been very close of the truth. It is evident that this prisoner was the true king and he was imprisoned due to a plot. Interlocutor: Concretely, then, was the authentic king? Kether: Correct, and later on, by means of a revolt, let us call it this way, he was released. It’s not true like Dumas wrote that there were three people that helped him, but rather there were more than twenty people that were involved. It’s not true that he became a king again either, and the false king occupied his place. This is only a fantasy of the writer because in reality they were not alike, anyone would have noticed the difference. Kether: No, they were not twins. Besides, the prisoner was so emaciated that he weighed 15 or 20 kilos less than the usurper of the throne. In the novel of Dumas, this author imagined that the true king replaced the false king secretly and he made him imprisoned as a punishment. This is very novelistic because I repeat that they were not alike and such substitution would not have been possible. Besides, he ignored the manners of the nobility and his rustic behavior would have exposed him immediately. Interlocutor: The whole imprisonment, the severe custody of his identity was it merely a political issue? Kether: Politics, nothing more than politics. He led off a revolt, the false king was murdered and a relative inherited the crown. Interlocutor: And the true king? Kether: He was released and he lived happy till his death, but he didn't occupy the throne of the king as Dumas said in his novel. Interlocutor: It is true that he lived all the time with the mask on his face? Kether: No, it is not true, that is completely novelistic. He wore a mask every time he was going to be transferred so that nobody recognized him or that any people could see his face. Interlocutor: Concretely, why this whole concealment was made? Kether: Because the king, I mean the false king, didn't want that people know he had a brother, and even less that he was the true heir of the throne. Not even the jailers knew his true face. Interlocutor: Did the prisoner have some burning on his face? I ask it to know if he had some interest in covering his face. Kether: No, he had neither a burning nor a scar on his face. He was, of course, very haggard and emaciated. Interlocutor: How long did he live after being released? Interlocutor: Is there something else interesting to say about this matter? This entry was posted at Tuesday, June 02, 2009 and is filed under History . You can follow any responses to this entry through the .